Professional Since: I was 8years old when I played my first competition, one local competition in Estonia. "I started to play badminton in one little village badminton club. Coach introduced badminton in our class. I was 7 years old." 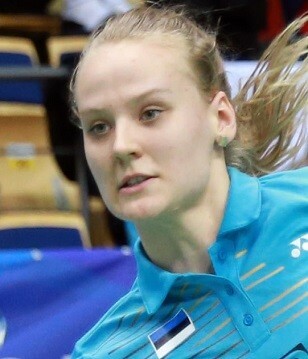 "Bronze medal U-19 European Championship women's double"
"Best Estonian Female Badminton Player 2017"